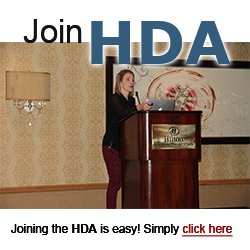 The Holistic Dental Association is pleased to offer visitors a searchable database of our professional membership. Each active member is listed here, according to state. You can search by state or by a dentist’s last name. To search by state, please enter the the full name of the state or the state’s abbreviation. Rubin, Esther – D.D.S., M.P.H. Disclaimer: The Holistic Dental Association is an organization whose membership is open to all practitioners (and the public) with an interest in holistic health in dentistry. Its mission does not support the discrimination against any member or potential member for any reason including but not limited to his or her philosophies on oral care. Therefore, membership in the Holistic Dental Association does not necessarily indicate that a practitioner is using holistic methods in his or her practice. We encourage all patients to discuss with any of our member dentists, the use of holistic methods in their practices to determine whether or not a practitioner is a good fit for your needs. 1825 Ponce de Leon Blvd. #148 Coral Gables, FL 33134 - Copyright © 1995-2017 Holistic Dental Association. All Rights Reserved.